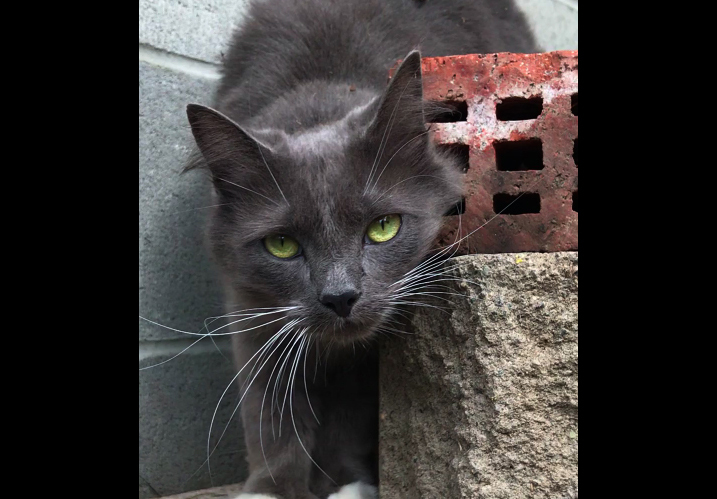 Gray & white medium hair spayed female, 4 yo. Shy at first, but very sweet disposition, and very loving once she gets to know you. Named after Star Trek's Q...she's a trickster! Best suited for outdoor/indoor. Has spent her life in rural setting. Adverse to dogs.